In the business world it really does matter what others think. This post lays out the best social proof examples because you can – and should – work to influence public opinion concerning your brand! Did you know that you can influence the opinion of your target audience without them even realizing it? Reputation management is multifaceted but relies heavily on the concept of social proof – where the public’s opinion is swayed by the opinions and actions of people in their social circle. When you’re running a business, managing your reputation and/or the reputation of your company is a pillar to success. “Word of mouth” has always been on the forefront of effective marketing and it still is. A Nielsen Report in 2015 confirmed that people trust the recommendations from family and friends over any other form of advertising. Word of mouth is one way to highlight the power of a social proof. Here at DotCom Global Media, we have seen the best social proof examples put to action in the following ways. How do you shop online? Think about how you use Amazon, for example, when you’re buying directly from a third party seller. Amazon displays both reviews of the seller and the product. If the seller has poor reviews and ratings or NO reviews, you’re likely to look for the product elsewhere. If the product doesn’t have good reviews, you may reconsider and choose an item with better reviews. Remember this as a business owner. If you lack a strong online presence, potential customers and clients are likely to bypass you. New customers are easy to win over with a lot of positive reviews. It shows the service, product, or experience was so great it was worth taking the time to write a review. The more reviews, the more balance you’ll get with an overall rating. The Nielsen Report found that 66% of consumers trust online reviews. Encourage your users to make a post in one or all of these three powerful sources. Likewise, if you have any bad reviews you should address those publicly (and sometimes also privately) as part of your professional reputation management. Yelp is the powerhouse for reputation management and the best social proof examples. What started out as an application to find food and drinks nearby has grown into a resource for all kinds of services: restaurants, home improvement, auto, and health clubs, etc. Along with distance and price, you can also sort search results by highest rating or most reviewed. 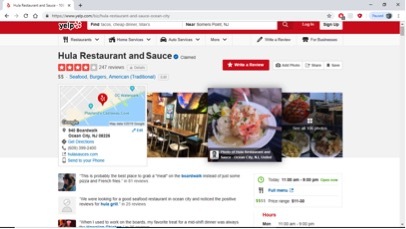 Here is a look at the Yelp page for Hula Restaurant in Ocean City, New Jersey. 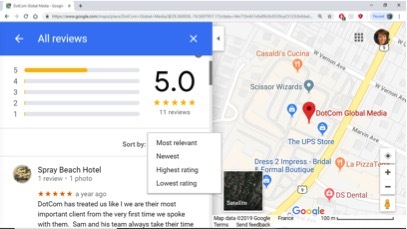 Around 250 reviews provides balance for their four-star rating, and the page has been updated with professional photos and information about the dining area. Google continues to drive the entire Internet as the most sophisticated, most popular search engine. The best examples of social proof are found at the top of page one of the Google search results page (aka SERP). To help your business rise above your competitors, you need to be listed on the first 2 pages of Google search results. We talk about SEO tips on our page a lot. Having relevant backlinks and keywords throughout your homepage, lots of backlinks, and online reviews on Google Maps all help you to rank higher on the SERP. 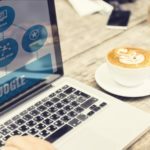 MOZ, a leader in SEO studies, says excessive negative customer reviews in Google Search results can result in a loss of up to 70% of potential customers. 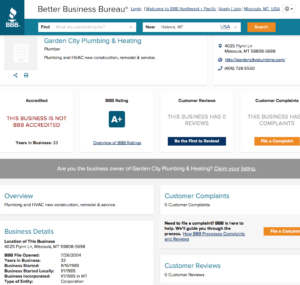 The BBB is going a bit old school, but its ratings are still taken very seriously. Poor ratings and reviews here can legally shut you down. This source has official outlets to file a complaint or a review, which formulates the public rating. People are less likely to leave reviews here, but it is a useful place to file formal complaints. You can also find quick details about the business like how long it’s been operating and contact information. From Kirstie Alley for Jenny Craig to Tiger Woods for Nike, putting a celebrity face to a product does effectively draw the public’s attention and creates customer loyalty. There is an element of risk to this approach because the celebrity’s personal reputation becomes tied to your brand, but the best social proof examples that we’ve seen are celebrity endorsements. Here’s a few examples of celebrity endorsement as social proof. She’s a beloved household name who put SmartWater on the maps in 2007 and continues to be the spokeswoman for the brand. 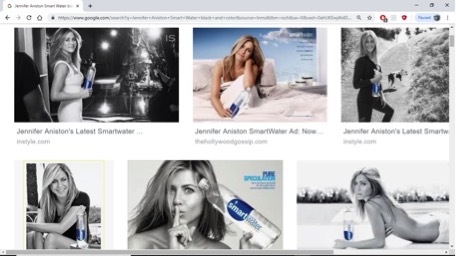 When there was a dip in consumption of SmartWater in 2013, they put out their ads with Jennifer Aniston in color and that gave sales a boost. The paparazzi are notorious for catching celebrities in non-glamorous moments like the one below. Here, Heidi Klum appears to be trying to blend while taking her kids to school with a cup of coffee in hand. That cup of coffee is often a Starbucks cup. Without really trying or getting paid for the advertisement, that celebrity with a Starbucks in hand gives the public impression that Starbucks is cool and preferred by the stars… free advertising for a smart coffee company! 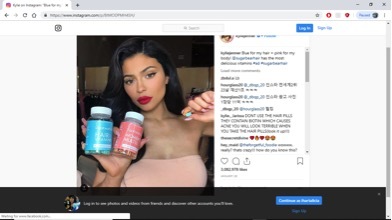 The youngest of the Kardashian-Jenner sisters, Kylie, 21 years old, ranks the top earner on Instagram receiving about $1 million per sponsored post. This model and entrepreneur has 111 million Instagram followers and counting. In other news, advertisers have started seeking “nanoinfluencers” with a minimum of 1,000 followers to receive free products for their mention on social media. Even a non-celebrity can utilize A-list-level power by having a cult-like following on social media, like we see on Instagram. These types of social media celebrities are now known as Instagram Influencers. An influencer will usually post an image with a personal story or review of the business in hopes that their words will influence their following. Celebrity endorsements are typically paid, but not always. You’d be surprised how often an Instagram influencer will use, promote, and review a product without being paid for it. Media creates a buzz through interviews with experts and CEOs and business leaders. Whether it’s a morning talk show, magazine spread, or site in an article, the public listens to the press. People are influenced by the opinions of talk show hosts and news anchors. Its’ clear that press mentions have a huge impact on readers and viewers. Here’s three examples of social proofs in the press in order of their effectiveness. “Refer a friend, and you’ll get-” You’ve seen this approach many times because it works. It incentivizes current customers to recruit new customers, utilizing their relationships and circles. There is usually a special deal or promotion offered to the new customer, too. The idea of getting a discount on something even if you don’t need it is a pull in, especially if your friend says “Hey, I use this. 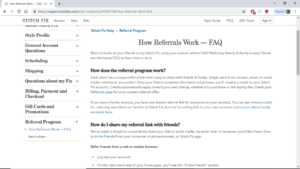 I think you’ll love it, too.” Referral programs have been especially effective in launching online businesses like Stitch Fix. Take Control of Your Reputation Management and Influence Using Social Proof! Remember, the public opinion does matter. As we’ve seen in the best social proof examples, keeping a focus on your audience and managing your reputation through social proof puts you leaps and bounds ahead of the game.You’ve got to give them something to talk about! Make your brand known so the public can form opinions. Don’t know where to start? For help with your digital marketing strategy, get in touch with us! 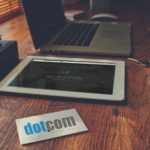 Contact DotCom Global Media and let us help with your website design, digital marketing, and reputation management. 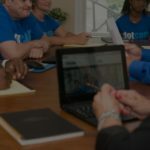 Previous Post New Jersey to Florida, DotCom is Moving to Open New Location Alongside Naples Businesses!